For contact center agents and administrators, delivering an “average” customer experience can be challenging enough, let alone delivering an “exceptional” one. But great customer service isn’t a fantasy – hundreds of great companies deliver it daily. In fact, a recent Forrester study showed that the number of companies with “good” or “excellent” customer experience index scores has steadily increased between 2007 and 2014. 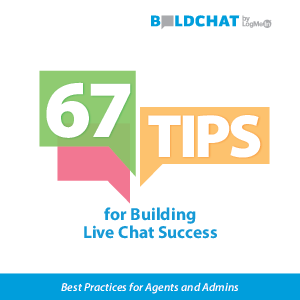 This eBook is divided into three parts to help address all the ways a live chat implementation can be done successfully. Section one is about the all-important chat agent, section two is about the management of the agent, and section three is about how management can support chat.Together, these tips can help make your company’s dream of excellence become a reality.